Old and new meet in a passionate embrace. Beneath the old bourgeois house facades lie 20 rooms whose design epitomises perfect living comfort. Yes, that’s Vander. Sensual, at one with the environment, and enhanced to meet the needs of the contemporary traveller. The interior design follows a continuous line which runs almost imperceptibly from house to house. The charm of the surprising views culminates in the panorama from the roof terrace. This is what Ljubljana is like, too: in love with the old, constantly seeking the new. BUY A FLYFISHINGODEC PACKAGE AND GET 18% DISCOUNT OR MORE! 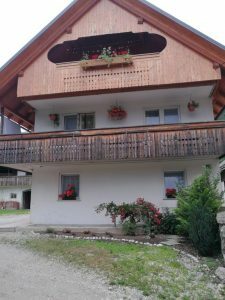 Apartmaji Ivanka in Ivana enjoys a location in Bohinj, just 5 km from Vogel Ski Center and 15 km from Triglav National Park Information Centre. The Nihalka Vogel is within 5 km of the apartment, and free WiFi is provided. This apartment has 1 bedroom, a kitchen, a flat-screen TV, a seating area and a bathroom. Vogel is 5 km from Apartmaji Ivanka in Ivana. The nearest airport is Ljubljana Jože Pučnik Airport, 43 km from the property. 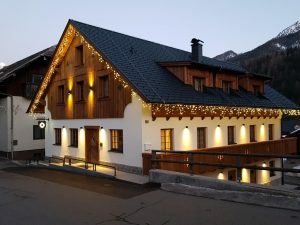 Featuring free WiFi throughout the property, Hotel Vandot is located in Kranjska Gora, 500 m from the ski slopes and 100 m from the town centre. The property is 5 km from Russian Chapel on the Vršič pass. All rooms are furnished in an Alpine style and feature a TV and a private bathroom with shower. The property features a lounge area, as well as bike and ski storage facilities. A sauna can be used at a surcharge. The area is popular for skiing and cycling. Kekec is 500 m from Hotel Vandot. The nearest airport is Ljubljana Jože Pučnik Airport, 59 km from the accommodation.